I am curious, how you paid less than sticker as they are not available for sale until December. 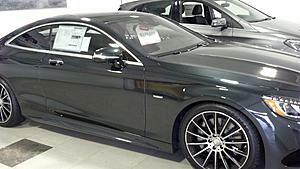 My S63 coupe arrived at Brunswick VPC yesterday and it should be at the dealership next week. You are quoting the sticker price without the Edition 1 package which is $10,800. The dealers here are already quoting $20-$30,000 over sticker Mark up. I am also trying to recover our sales tax and license. Afaik, the sticker including the edition 1 package is $138k. I drove the car but didn't see the window sticker. If you have a pic of it please post it. Re. $180k, you'll have to find a real sucker to pay that. Edition 1 cars don't fetch any premium and it's not difficult to find, at least in short order. Saw Edition 1 few days ago but didn't get to drive it. Perfect color. 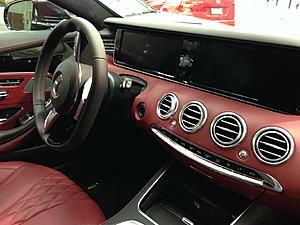 Gorgeous inside and out and 4matic too. Red designo leather color and quality felt good, but I thought there was something missing. I sat in an S63 sedan afterward for comparison, and I immediately noticed a richer smell of leather and 'new" car smell that the coupe did not have. 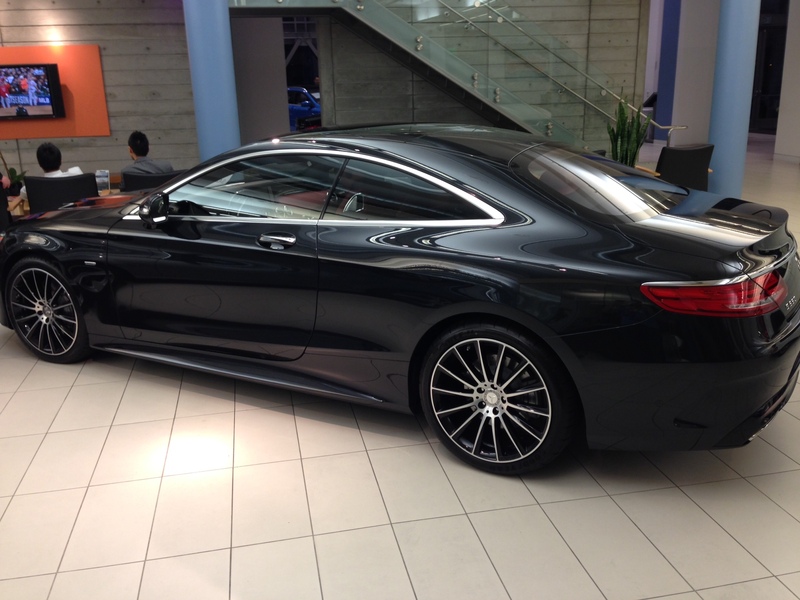 To me it feels like a symptom of the coupe being a demo.. so I'm looking forward to seeing a new Edition 1 for sale. 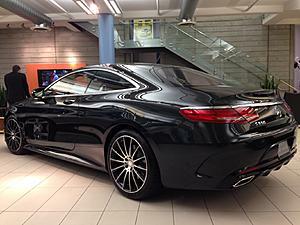 Here are a couple of pictures of the S550 Coupe Edition 1 in the showroom with it sticker at $149.571. and the market sale price in the window of $179,571. Ours is still for sale if anyone is interested. At $179,000 I suspect it might be for sale for a while... but one never knows. Frankly, I'd be uncomfortable with a dealer that worked in this manner, but to each his own. I'd find it hard to think I ever got a fair deal on any car I purchased. Agreed. 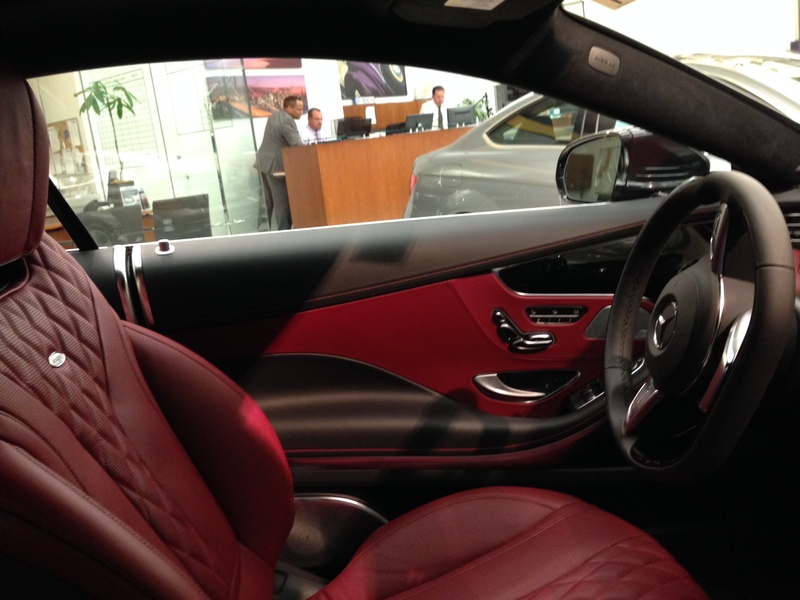 Our dealer will not sell a car for more than MSRP and that's how it should be. Aftermarket it's another story. Last edited by Wolfman; 10-18-2014 at 07:00 PM. To me this is ridiculous and kind of a joke when you can get an edition 1 easily at MSRP. This car is almost the same price as my loaded S 63 coupe. S63 coupe sticker is $183K. I think it will be impossible to find someone that is dumb enough to pay that price and also has the money to do so. Just curious how much under sticker you paid for your S63 coupe. I am about to place an order for one with a sticker right around $190K. Not much - $3K under. There is no fleet discount for the coupe otherwise it could have been more. I am due to pick mine up this week and was just wondering? Sam, what did you pay under sticker on s63.... I am due to pick mine up this week and was just wondering? Depending on where you live and whether or not you are willing to deal with an out-of-state dealership, give MB of Fort Mitchell a try. I’m an extremely picky and demanding customer, and these guys managed to tick all boxes across the board in my MB customer experience. I would be surprised if you don’t get a good deal with them. 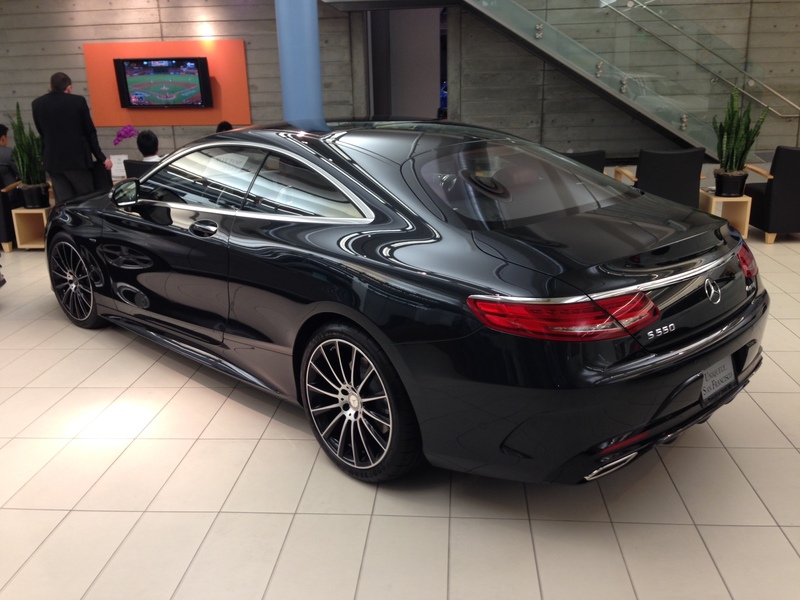 $180k for an S550 Edition 1? This guy is def smoking the good stuff. Recovering tax is the worst way to justify the $40k markup! This is your problem. Sure, you'll always have a sucker who doesn't care how much anything costs and can plunk down the over sticker. And you get plenty of these kinds of people in the luxury market from Bentley to Ferrari and MBZ, especially here in Southern California (think filthy rich foreigners with massive trust accounts where money is no object). Every dealership in LA has the Edition 1 - MSRP $138k. Some dealers are saying "first one is going for $10k sticker" but we'll see how long this lasts. I guarantee the Edition 1 sells for MSRP the moment they can actually sell it in December. I bought my 550 edition 1 for 149k sticker price. 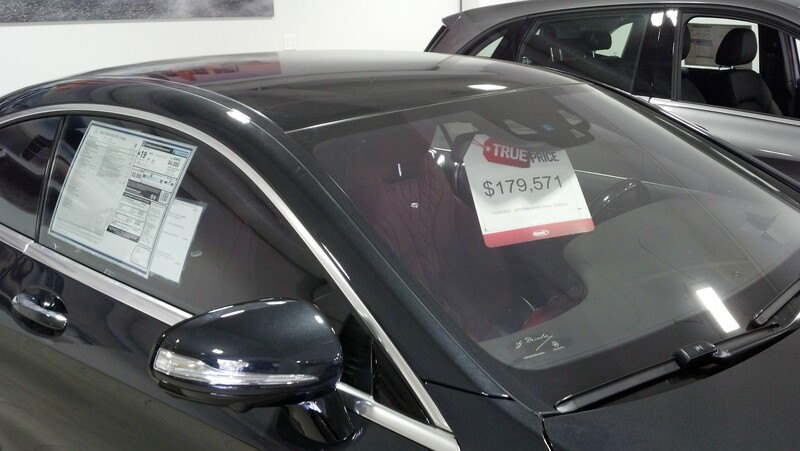 Less then 20 miles from the dealership that's asking for 179k on that photo in San francisco. Congrats on the Edition 1. Happy driving. Also, I don't think the second set of 2 pictures is also from San Francisco. When I was there and the first one came in, it was not being marked up. Also, if you look at the floor in the 2nd two pictures it is different then the first set of pictures. I wonder where that dealership was? Quick Reply: New S550 Coupe - Must Have Options & Color Advice?